Clever Jewelry Display and Storage! The top of my dresser is looking a lot neater today, since I added this pretty new organizer above it! I can now see my necklaces and bracelets, and they don’t get tangled anymore. You can do this tonight! Install the rod according to the directions that come in the package. Remember – measure twice, drill once! 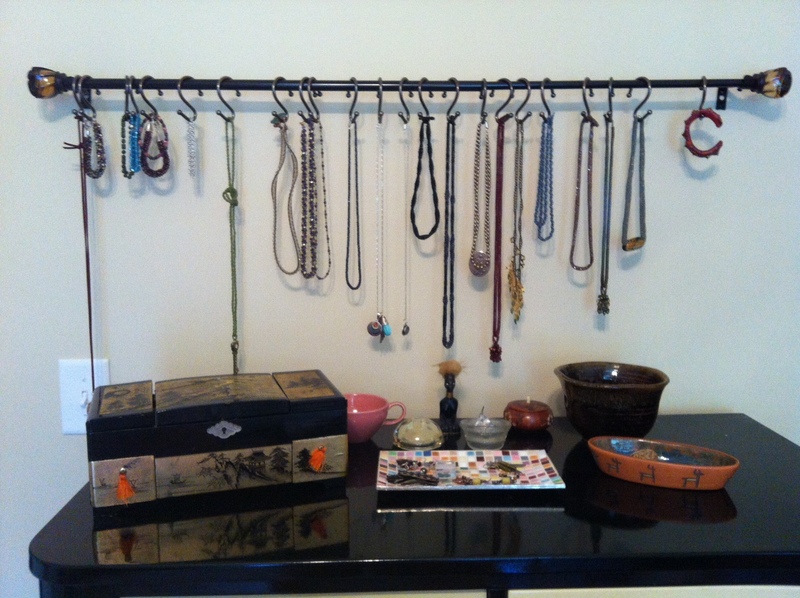 Hang the hooks, and arrange your jewelry – done!